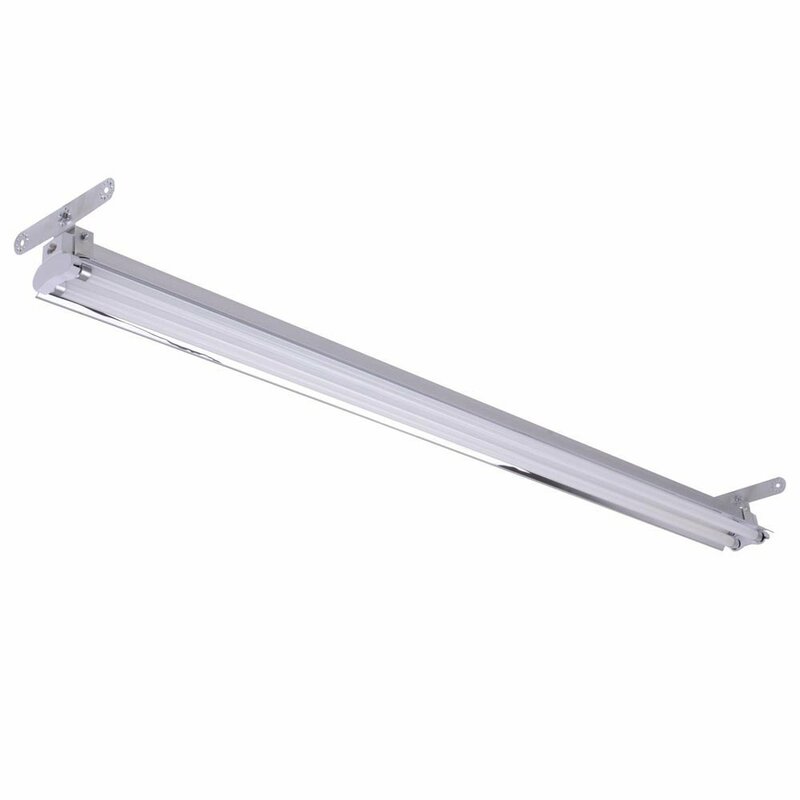 This grow light fixture is made by the brand YesCom USA, Inc. It is an e-Commerce business that sells everything from phone accessories to beauty products to of coarse grow lamps. Since their launch in 2002 YesCom has been expanding and evolving to become one of the biggest online shops in the world. But just because they sell products of all variety doesn’t mean that they have jeopardized their quality standards, because any product with the YesCom brand on it will be durable and will last you for a long time. 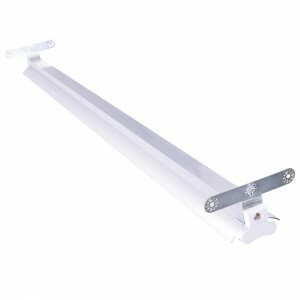 A lesser known brand T5 grow light that, however, is just as good as those with big lighting manufacturer brands on them is this 4 feet 2 tube T5 fixture from YesCom. 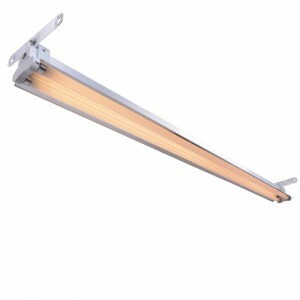 It has great energy efficiency, great lifespan and superb light output all packaged in elegant light fixture. 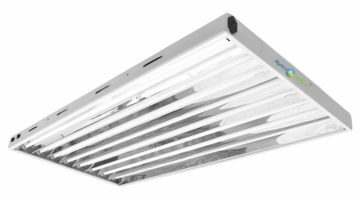 Like I mentioned this lamp has great energy efficiency because even though it is able to emit light that is worth 10,000 lumens, it will chew up only 108 watts or 54 watts for each of the two 4 feet bulbs featured into this fixture. 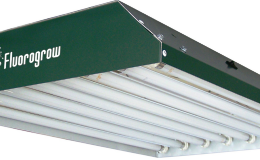 On top of that the illumination is rated up to 8,700 lux meaning that the light will be bright enough to fully substitute sunlight and let you grow any plants you want under it. 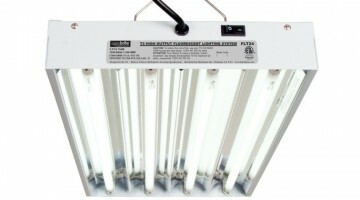 Speaking of growing plants, bulbs that come with this fixture are red white 3,000 Kelvin bulbs which means that they will replicate the color of sunlight in autumn and the emitted light will be perfect for when your plants are going into their blooming stages of growth. But if you need lamps for vegetating plants you can also get additional 6,500 bulbs that will better suited growing plants. 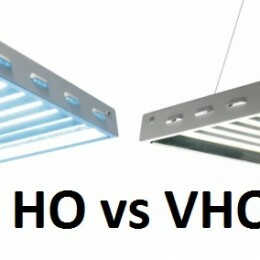 Additionally the light doesn’t emit any infrared or ultraviolet spectrum rays or a lot of heat for that matter, meaning that the light will be safe for your plants and they won’t be harmed even if the fixture is placed right on top of them. The design of this T5 fixture is simple yet elegant with white housing and other elements. But the steel construction of the housing adds an industrial element to it making it not only look good but also be reliable and durable with the ability to withstand different conditions. 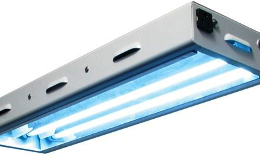 Ballast that is built into this T5 fixture is a High Output (HO) electronic ballast that has an integrated circuits (IC) chip, which allows the light to operate steadily with stable volt flow even under the most demanding conditions without being very expensive. And the reflectors on this light are simple, yet are able to provide that the light that goes to plants are concentrated and don’t lose its power even if the light is hung up very high. 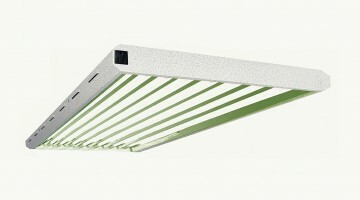 The light fixture is 46.25 by 3.375 by 1.75 inches (117.47 x 8.57 x 4.44 cm) in size so it is compact yet able to cover a large area with light and illuminating the plants under this light with exceptionally bright light. The only thing is that this lamp requires a little assembly because the hanging mechanism comes separate from the fixture itself.